E and I recently redecorated. It involved taking all the books off the shelves and painting behind the bookcases. 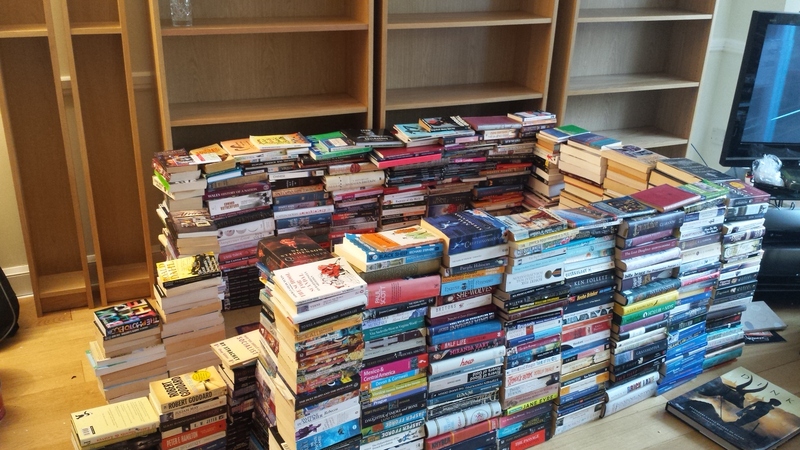 So…all the books were just lying there…and it just seemed like the right thing to do! Perfect for curling up with a good book.. 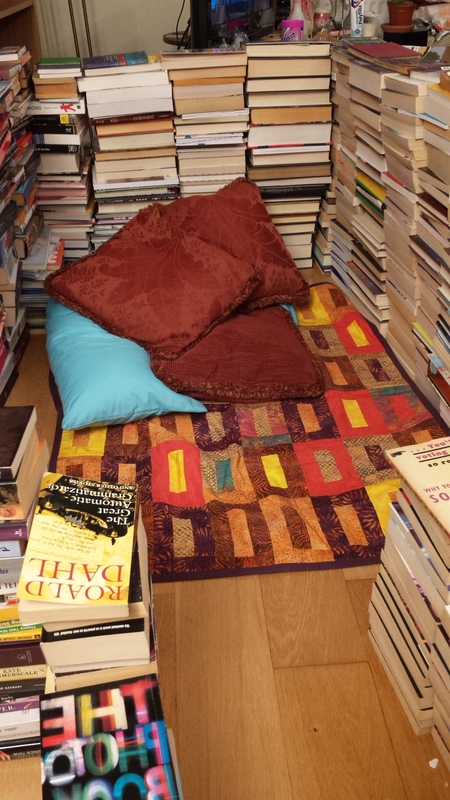 Tags: book fort, bookfort, books. Bookmark the permalink. You must leave them like that! Alas, it has had to come down already. It turns out that Star Trek books are not really solid enough to build stable walls. What? No crenellations? And where are the arrow slits? Reminds me of reading corners in primary school – very cosy! It was exceptionally cosy! I miss reading corners. They were the best.